We have just received an interesting piece of information that confused us a lot. 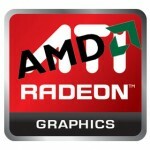 First, according to one of our “close to AMD” sources, company is planning to release a new GPU family in early 2011. Not yet confused? Does “new GPU family” mean “new generation” and/or architecture? Or just new naming scheme? Now, from what we already know, it does not make a lot of sense, since HD 6000 was revealed just a month ago and HD 7000 is planned for Q2-Q3 release of 2011. Could this be a drastic plan change? b) It’s HD 7000 family and GlobalFoundries received some magic powder to speed up their 28nm process (unlikely). d) In case we disregard option A, this one might sound good on a paper: AMD will release a test chip of Radeon HD 7000 series on a 40nm process technology. There is definitely something going on and we are eager to dig out more information in the near future. e) it could be, FirePro based on Cayman/4D architecture sound possible. Btw, do you have any info on Cayman itself? but: it may be true, 28nm could surely use a test chip. Maybe 1/3 of Cayman? Nothing new about Cayman yet. Everything was already mentioned by other sites. 28nm point is an interesting one, according to some reports, TMSC will start producing 28nm chips in Q4 of 2010 so it’s plausible. That’s true, although during AMD press event, they stated that process is not yet ready. So I wouldn’t count on that one, but who knows, maybe it’s all sorted out now. If I were to wager, I’d put even money on either Fire Pro or mobile. Leaning a bit towards mobile, since the 6800’s boost perf/W.